Good morning polished world! How are you all today?! Are you all ready for Thanksgiving!? I know I am! Last year I had the flu, was not able to leave my bed for more than 10 minutes, and I barely had any food. It was so depressing. I'll be babying myself for the next few days to ensure it does not happen again! Today is Tuesday, which means it's time for yet another Twinsie Tuesday. This week we are to take manicure orders from our significant others, family members, or bffs. Well, instead of taking orders from one person, I went around to a few people and got a couple ideas. I did this because I knew that if I only got one idea and it didn't work out, I would be too frustrated to try another and would be completely stumped. Everyone I asked though said that since Thanksgiving was right around the corner, I should do some sort of crazy Thanksgiving manicure. For the past two years, I did the same turkey design and really had no idea what else to do. 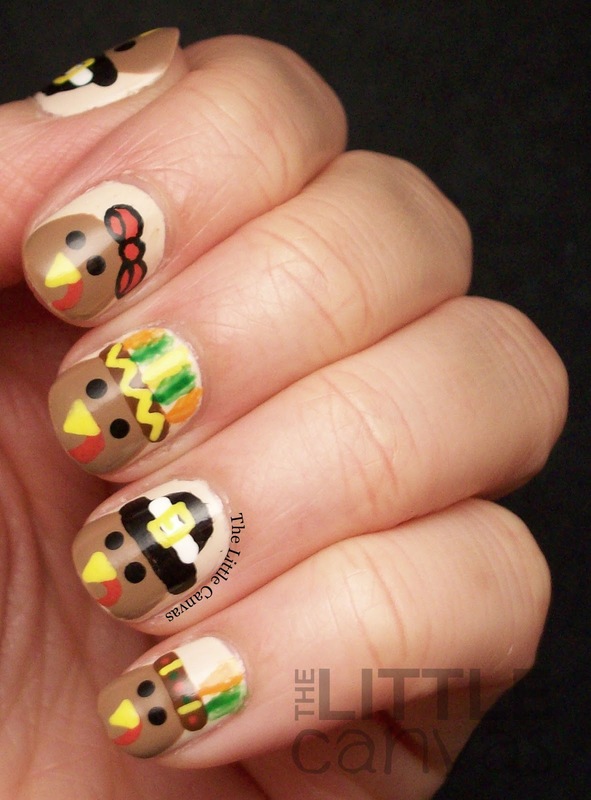 That was until I saw this adorable turkey design by Nail Storming. It really looked like something I would do, so I knew it was meant to be. Cuteness overload. I'm so happy with how these turned out! I started off with a base coat of My Vampire is Buff. 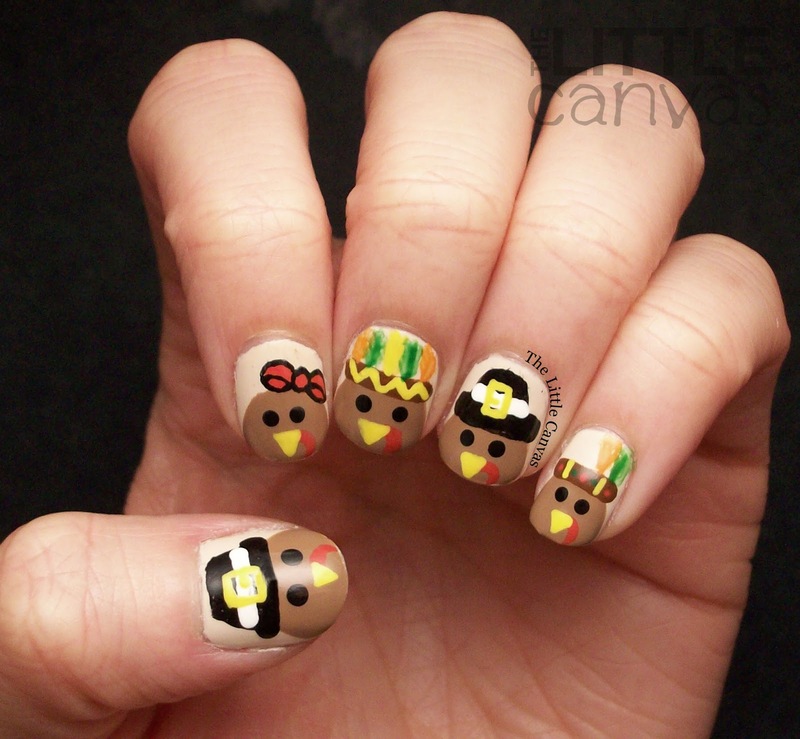 When that was dry, I used Zoya Flynn to create the little turkey heads. Flynn was from the Cashmere collection last Fall. It's a rather pretty light brown shade which I think I could use a lot for more "nature" designs. Maybe even a reindeer?? When my polishes were dried, I cheated and used my acrylic paints for all the details. Guys, I don't know why I was so stubborn and refused to use acrylics for all these years. My details are so much neater, the dry time is a lot faster, and all around I'm a happy girl. It was just soooooooooo much easier! I really am loving how adorable these are. I am a little upset though that Flynn shrunk around the tips on my right hand. That tends to happen a lot with my Zoyas. Does anyone else have that problem? What do you think? 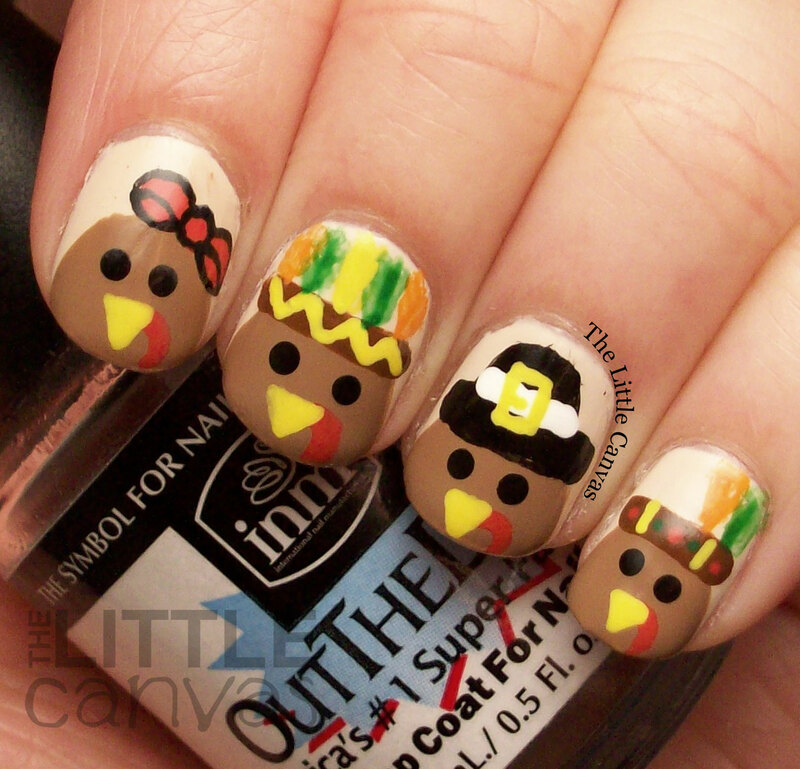 Liking the little turkeys!? Don't forget to check out the other Twinsies! I won't be posting again until at least Friday. Going to take a few days off for the holiday! 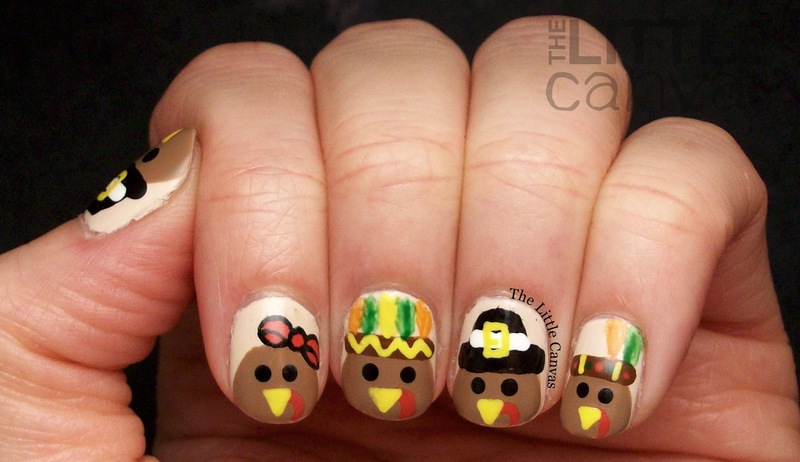 Please share with me your Thanksgiving manicures and I'll share them on my Instagram or Facebook on Thanksgiving Day!